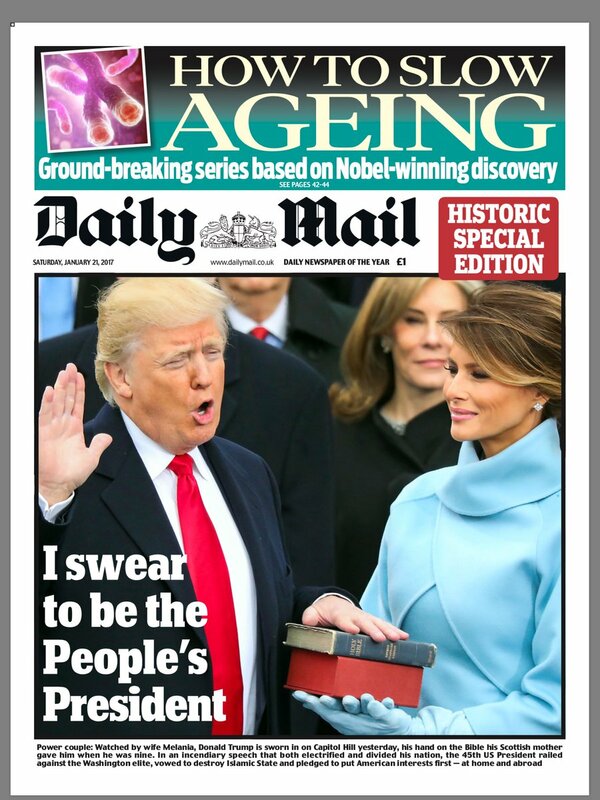 It's fair to say the papers aren't giving new President Donald Trump a ringing endorsement this morning. 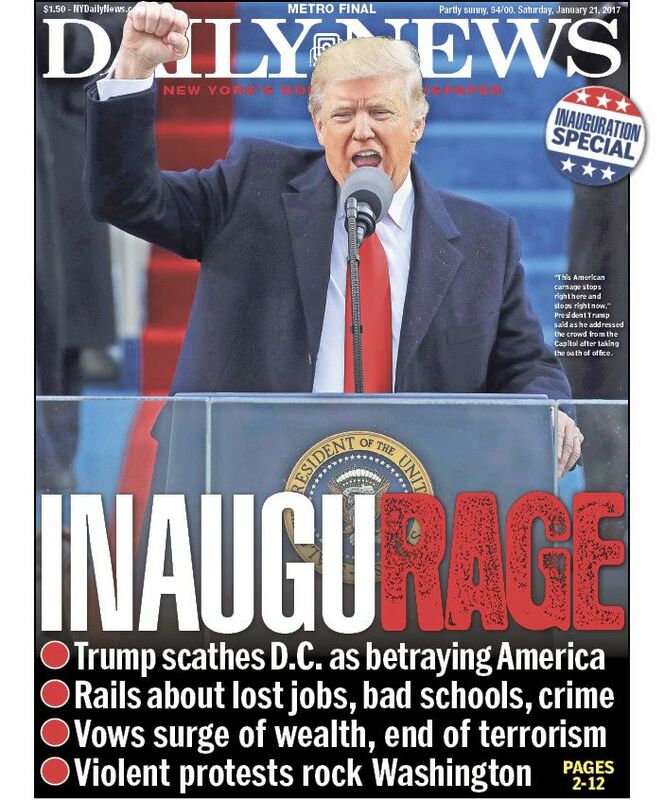 Here's an early glimpse of the New York Daily News which captures the anger on all sides. 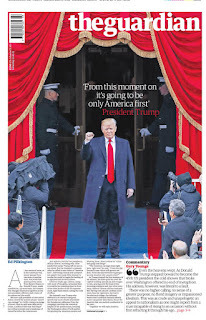 There can be no doubt where the News stand though ... yesterday's paper simply told its readers to 'hope for the best'. 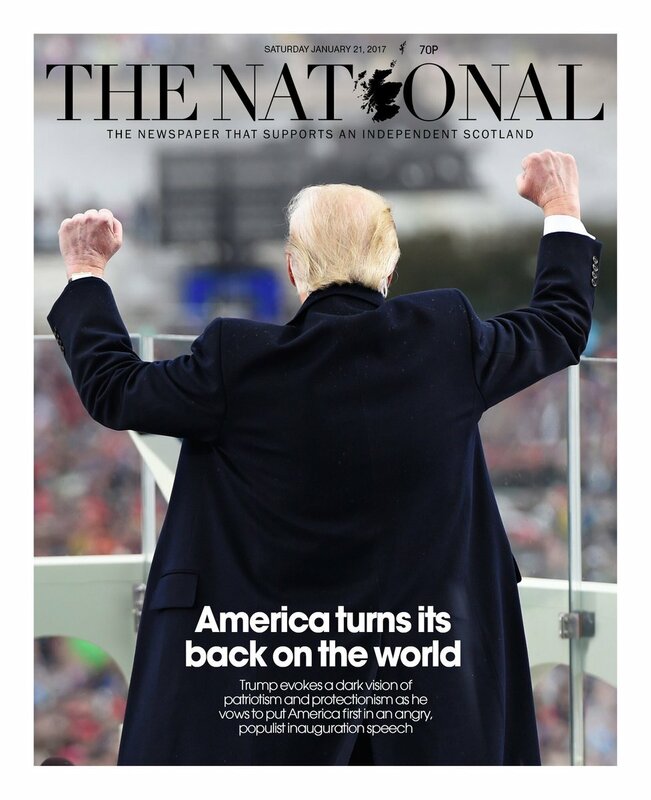 The National went for a clever front - great example of the photo and headline working together. The Daily Mirror thinks there is more to it than Trump merely turning his back on the world. 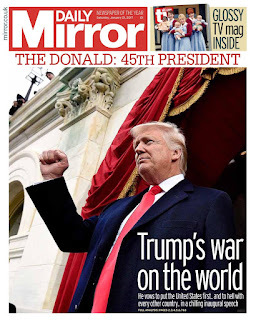 We are at war! The Guardian also skies a powerful picture with perfect symmetry. 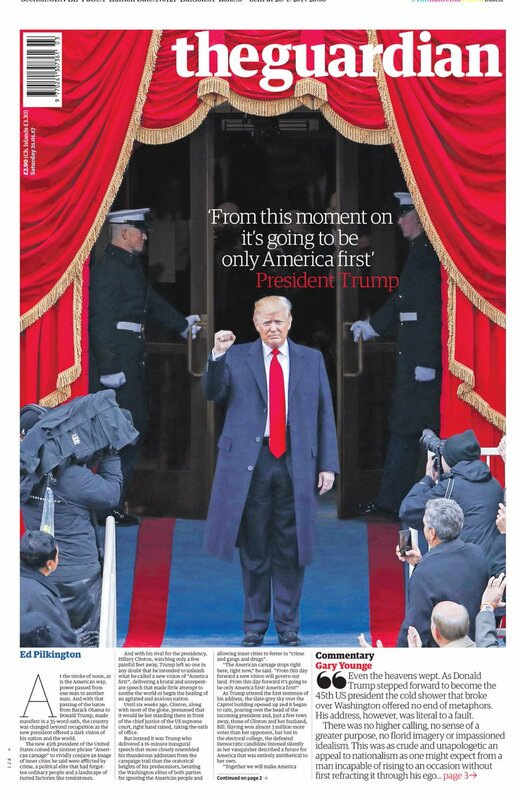 'From this moment on it's going to be America first,' says the headline. 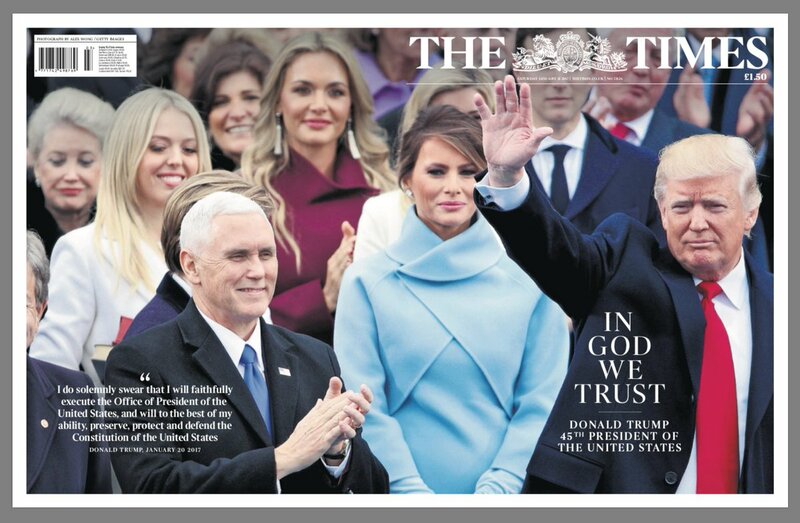 The Times goes for a classic, and stylish wrap, and is putting its faith in God to see us through. 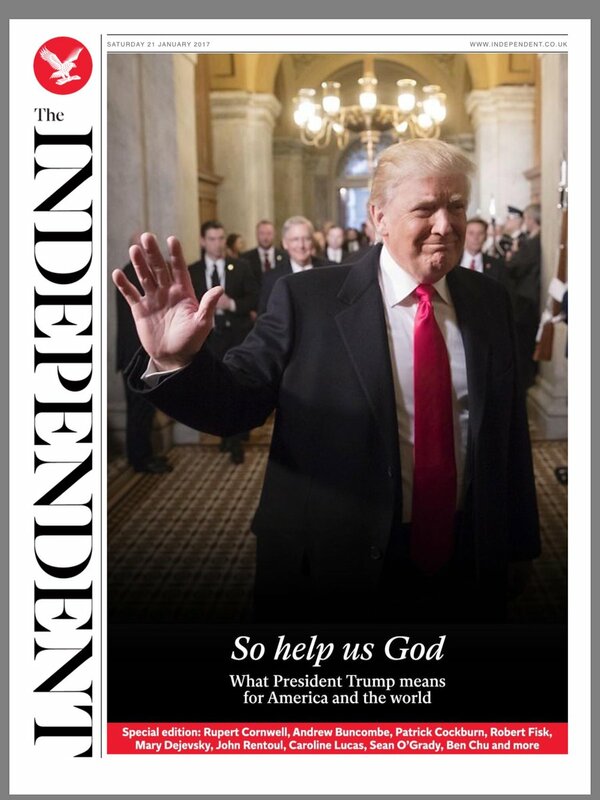 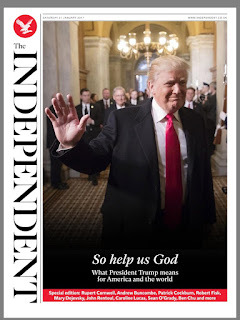 The Independent's plea to God is just a little more desperate. 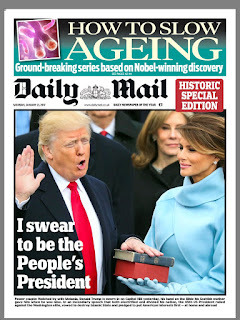 The Daily Mail chooses to play it pretty straight. 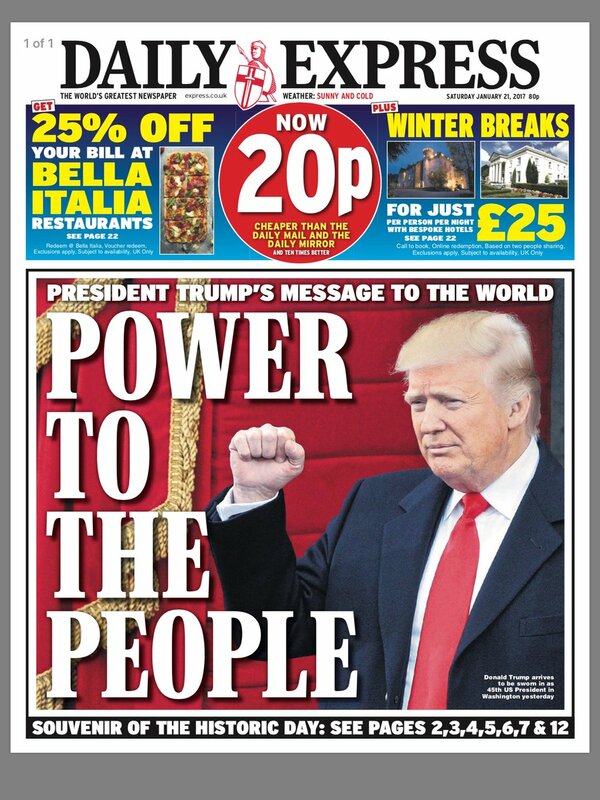 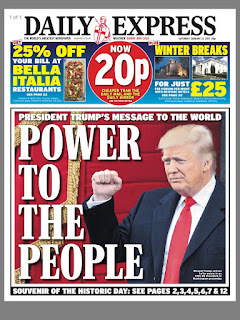 The Daily Express opts for a John Lennon lyric ... although I'm pretty sure a Donald Trump regime is not what the late Beatle had in mind. 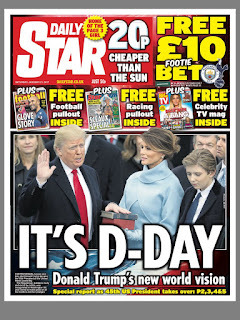 Meanwhile the Daily Star, unaccustomed as it is to leading on political stories, wheels out the headline for all occasions ... 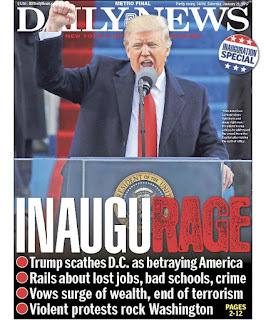 It's D-Day. 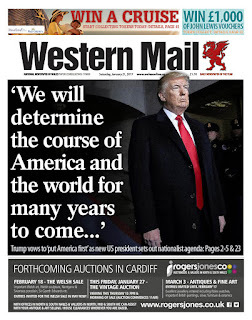 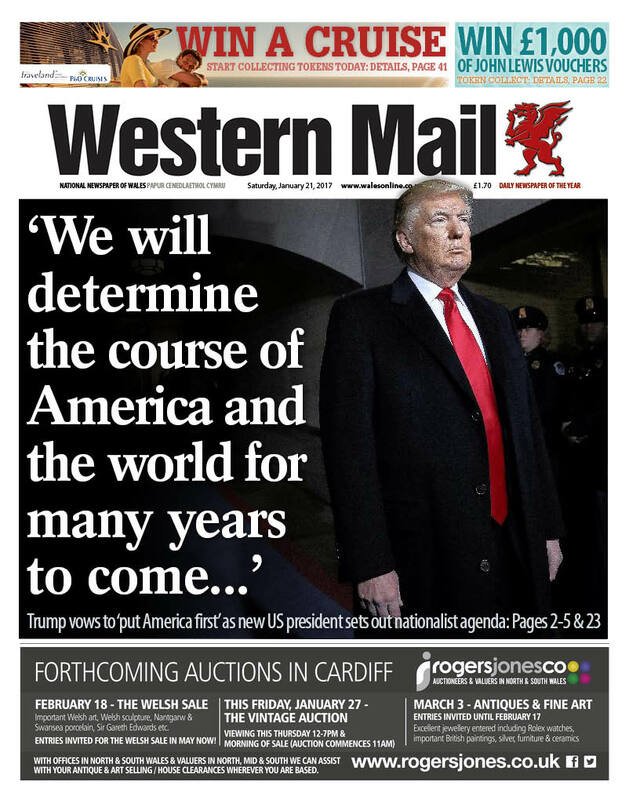 The Western Mail uses a quote that sums it all up. The Sun, as it often does, ploughs its own furrow and goes with a Tom Daley exclusive, using its quirky Trump tale in the top right slot. 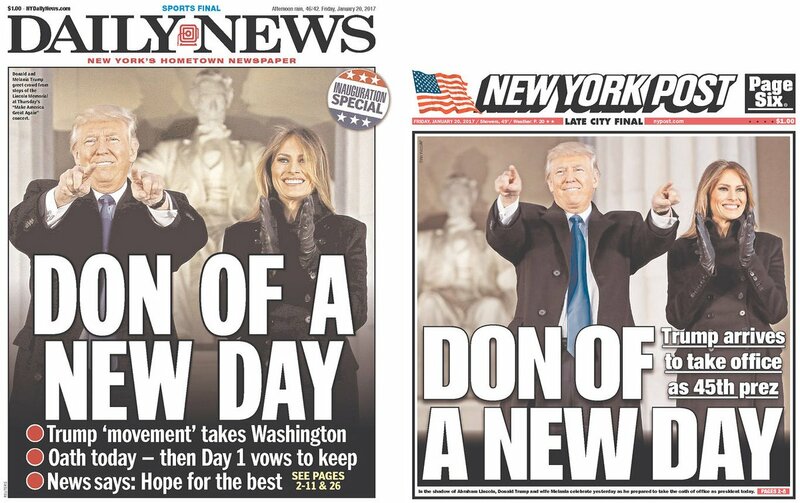 And as an aside, this is how yesterday's two New York tabloids previewed the inauguration. 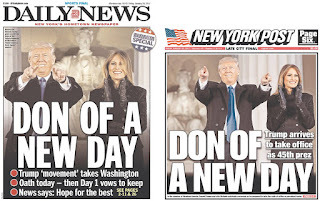 Two different editorial position ... but almost identical front pages.